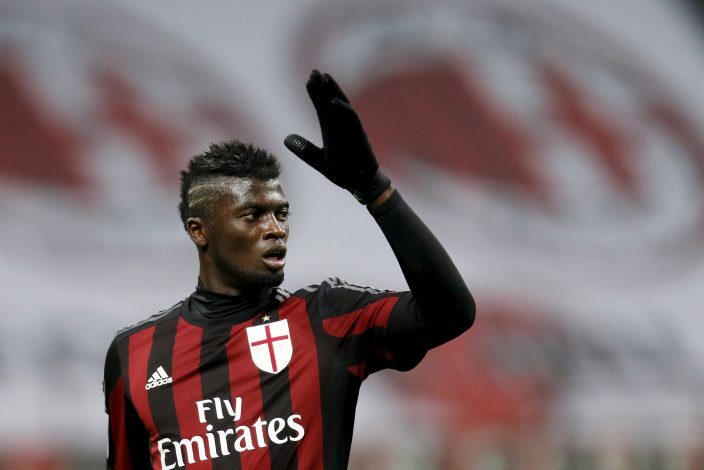 Manchester United have reportedly launched an official bid for AC Milan star M’Baye Niang. Italian daily Il Giornale claim the Premier League giants have already tabled an offer for the talented forward. But it will not be an easy business for Jose Mourinho, as there are a host of other interested suitors. Another Italian media outlet, CalcioMercato, reported way back in November that Arsenal, Monaco and Borussia Dortmund are also monitoring his situation closely. The 21-year-old’s current contract expires in 2019, and it is believed negotiations over an extension have now hit the buffers. The Frenchman is reportedly ready to renew his contract, but Milan’s takeover by wealthy Chinese investors has suddenly complicated the deal. Niang impressed during the first half of last season, but his campaign was cut short following an ankle injury during a car accident. This term, he has really struggled to rediscover his form, and hasn’t scored in his last eight Serie A outings. The Milan attacker, who has been capped at Under-21 level for France, can play in multiple positions across the front line, and would bring in even more pace to United’s flanks if the deal succeeds. The striker has already admitted that he was offered moves to Arsenal and Everton from French club Caen back in 2012. But the striker didn’t want an England move; he rather opted to join Milan. “The Premier League could’ve been the right football for me and I hope one day it will be,” he said.